Why Is Content Marketing Important For Training Companies? Our free guide shows you how training organisations can profit from powerful content generation and digital marketing tools. 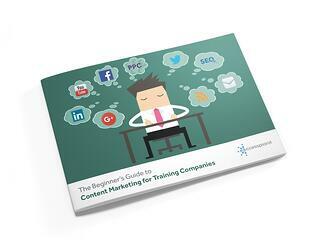 Content marketing is critical for training companies. It's how you rise up in an increasingly competitive landscape. Demonstrate expertise. Raise brand awareness. Engage with customers. Be content with your content - get your free guide today.